Great news from Google! A huge update for Google Search is already rolling out and the amount of improvements it brings is overwhelming. If you’re skeptical about this statement then we’ll let you know that it brings the new version of Search, Search version 3.1.8, to all devices running versions of Android from 4.1 onward. As you might already know, this version was originally delivered alongside KitKat and it brings among other things an improved UI and new refresh animations. 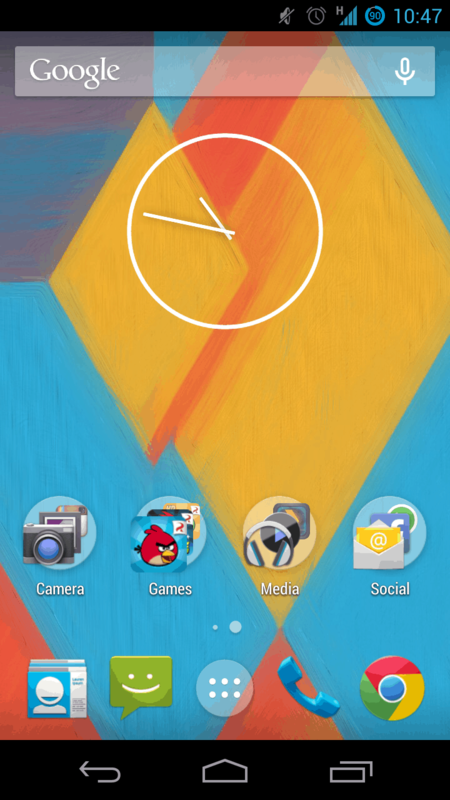 Besides this, Google has a new launcher called Google Experience Launcher (GEL). Unfortunately, when KitKat started shipping out to multiple Nexus devices, it did not include GEL. Because of it being absent, there was no transparency by default and no integrated Google Now. Oh and no launching Google Search by saying “OK Google”. It is very easy to download the APK (link provided below) and install it. After this go to settings (or tap Home) and go to launcher management. A blue icon will depict your new launcher. There were some minor flaws nevertheless, like the fact that every time you pressed Home while in an App the keyboard comes up (which might have gotten annoying at some point) or the fact that the search box was not centered. But with the new update rolling out currently, all of these flaws are fixed and everything look perfect. It runs smooth on 4.1, 4.3 and 4.4, both phones and tablets. 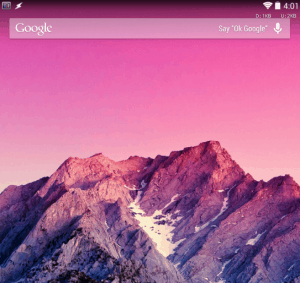 You will not be able to enjoy the transparency GEL offers for the navigation and status bars unless you are running Android 4.4. Furthermore, there are new cards included: website update card, news topic card and the what to watch card. But cheer up! Google Search will talk back now. In a good way of course. 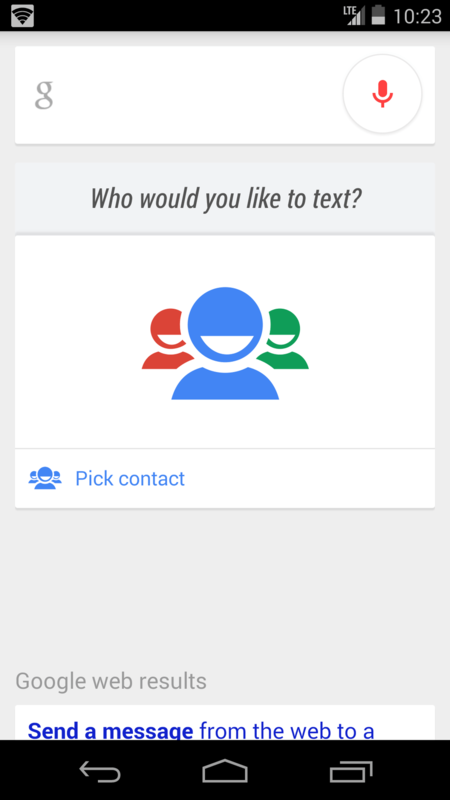 So apparently, for it to do special tasks, Google Search will be able to maintain a (limited) conversation with you. 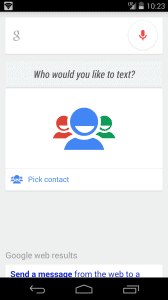 So a general conversation will be more or less on the lines of you telling it to send a message and Google replying by asking who do you want to send it to. At this moment you would be saying the person’s name and Google again would be asking you what you want to say. When you’re done with the message it will ask you if you want to send it or not. All of this is pretty neat if you ask us! 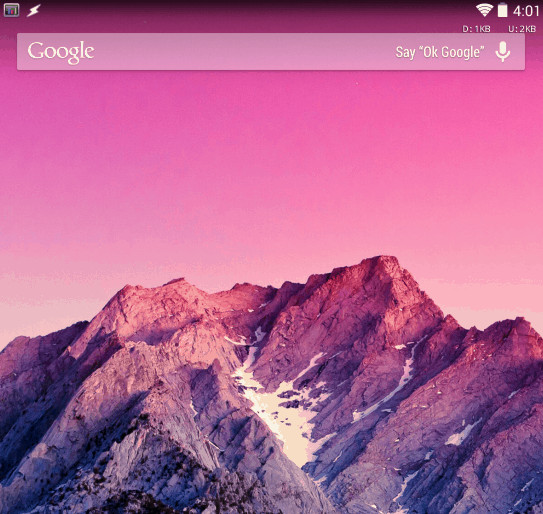 The new update for Google Search should be awesome with the Google Experience Launcher. What do you guys think of it? The file was not modified in any way and it bears Google’s signature.